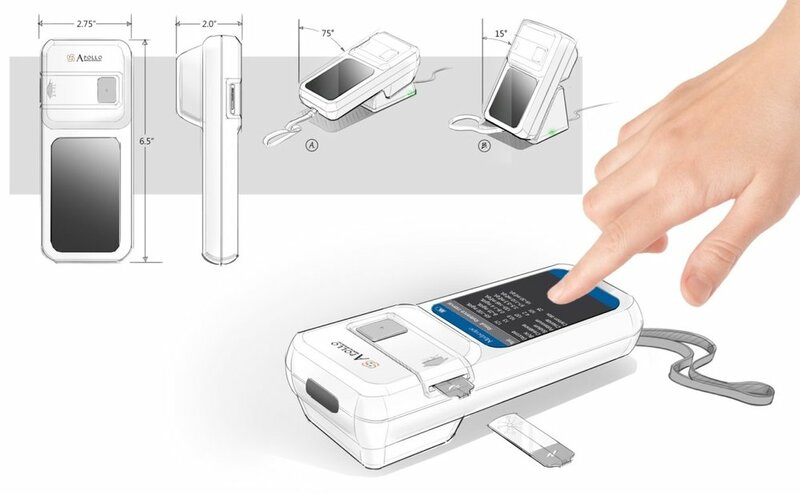 Apollo is developing a point-of-care system for use in acute and outpatient clinics and consists of a handheld, portable analyzer, disposable cartridge, and centralized docking station. 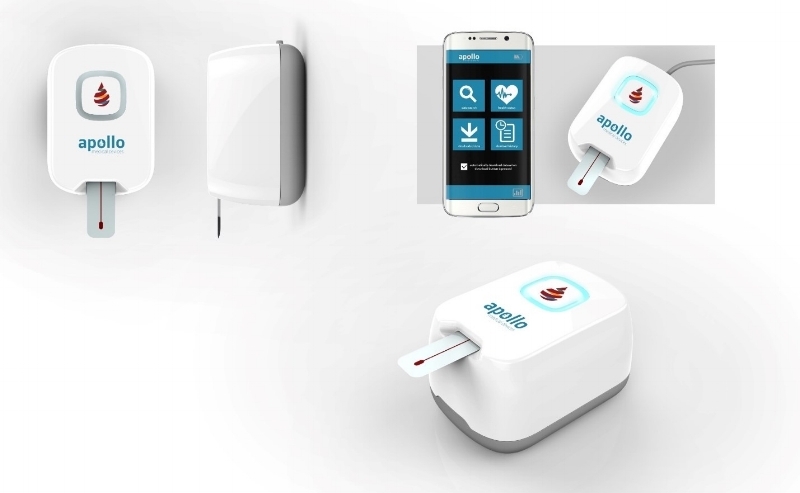 The system is being designed with both the end-user and patient in mind. Apollo’s technology relies on an optical sensing utilizing highly sensitive compounds for signal transduction. Each sensor is chemically “tuned” so that the color change corresponds directly to the level of analyte (glucose, sodium etc.) in the blood. Apollo’s low-cost analyzer quantifies this color change into a result that is displayed on-screen in minutes. The Apollo analyzer and proprietary software is being developed as a robust platform imaging system and produces higher quality images than a professional digital camera for a fraction the cost. Apollo’s proven sensing technology has been published in multiple peer-reviewed journals. Apollo’s first US utility patent (US #8,790,591) was issued in June 2014 and provides broad claims protecting sensor design, technology, and methods of use. Two additional patents have been filed and international protection is ongoing. Apollo has an exclusive worldwide license to this IP portfolio from Case Western Reserve University. Two of the technology inventors are on the Apollo team and two others serve as scientific advisors.